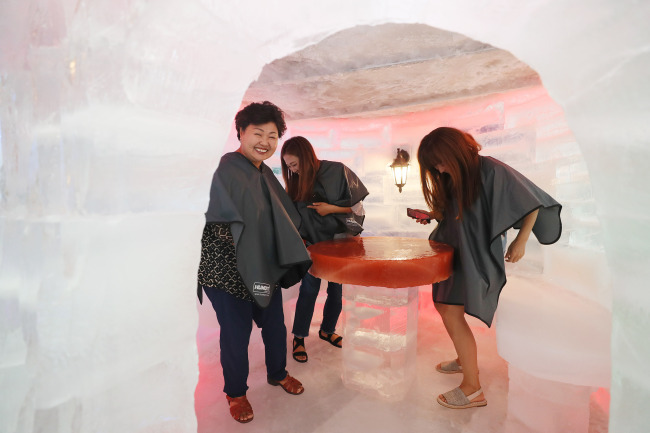 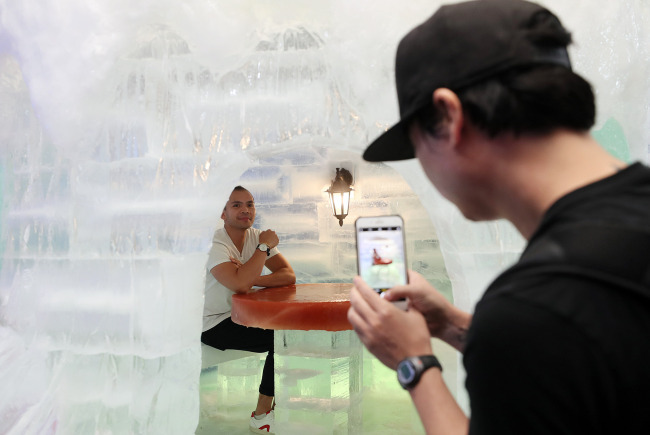 Amid the sweltering summer heat, many locals and foreign visitors were spotted at the Ice Museum near Hongik University cooling off from the heat. 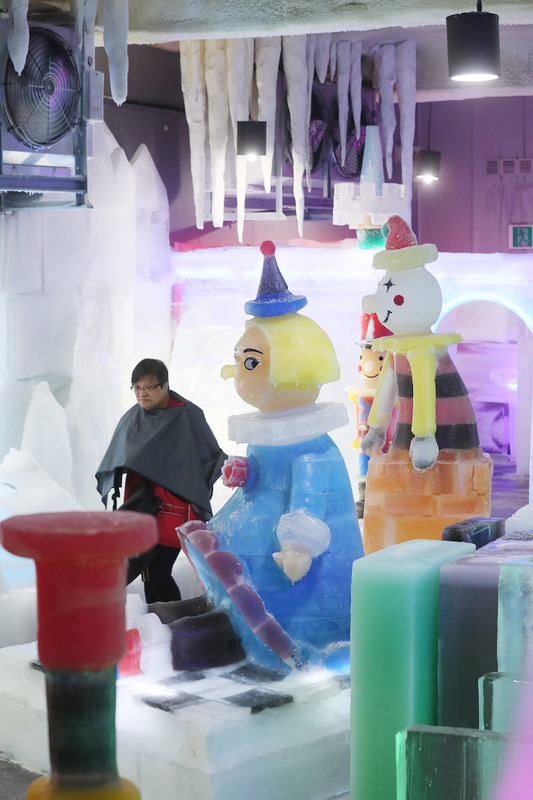 The museum offers a unique experience packed with colorful attractions and sculptures made of ice. 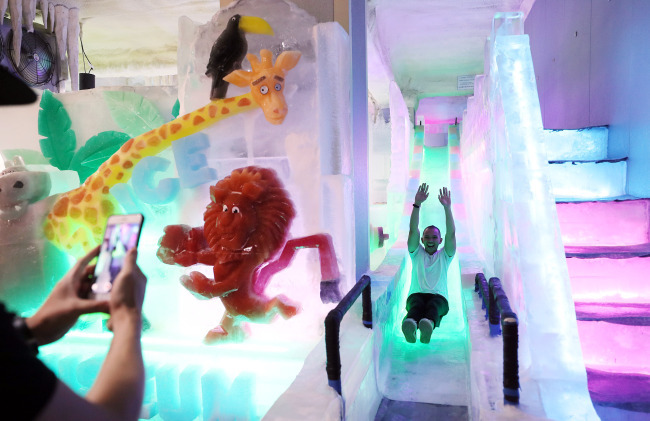 Visitors can take pictures inside an igloo or videos coming down a slide. 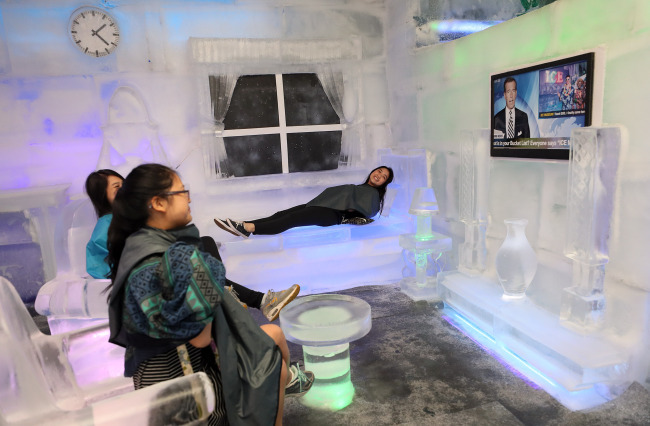 Without an additional entrance fee, tourists can also take a look around the Trick Eye Museum for funny optical illusions in the form of paintings.